점점 무더워지고 있는 7월입니다. 뉴욕의 가장 활기찬 계절인 여름만큼 즐거운 이노비의 소식을 통해 전해 드립니다. 저 는 아직 따뜻했던 5월의 완도를 잊지 못하고 있습니다. 완도는 문화 혜택이 턱없이 부족한 지역입니다. 세계적인 문화 중심지인 뉴욕에서 왔다는 소식에 공연을 보기 위해 주변 섬에서 배를 타고 나온 주민분들도 있었고, 공연 후 아이들은 공연자들을 둘러싸고 사인을 받아가기도 했습니다. 무엇보다 다문화 가정의 가족들과 청소년들이 즐겁게 공연을 관람하고 호응해 준 것이 가장 큰 보람이었습니다. 이 번 달에는 뉴욕과 뉴저지에서 3번의 아웃리치 콘서트를 엽니다. 처음 이노비를 시작하면서부터 가장 찾아가고 싶었던 콜롬비아 대학병원의 소아 병동, 그리고 맨해튼의 드윗 널싱홈에서 어르신들을 위한 공연과 장애인들을 위한 밀알의 사랑의 캠프에 함께 참여하여 공연을 펼칠 예정입니다. 뜨거운 태양도 막지 못하는 이노비의 사랑과 열정이 넘치는 활동 계속해서 지켜봐 주시고 많은 응원 부탁드립니다. Hello EnoBians. Though it is so hot in New York City in July, the city is also the most active during the summer. 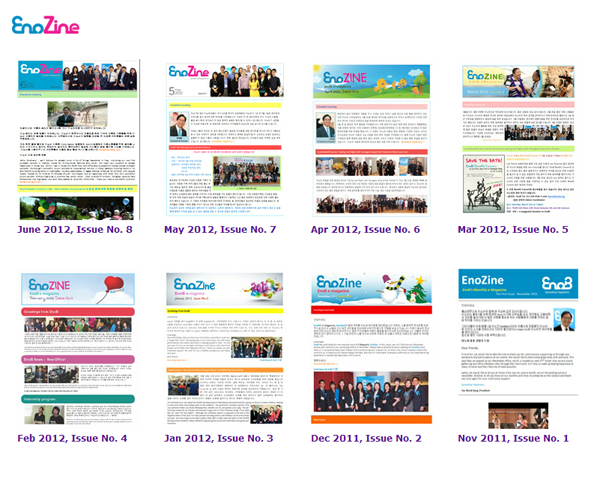 Through EnoZine, we want to deliver to you the latest news and developments of our summer. 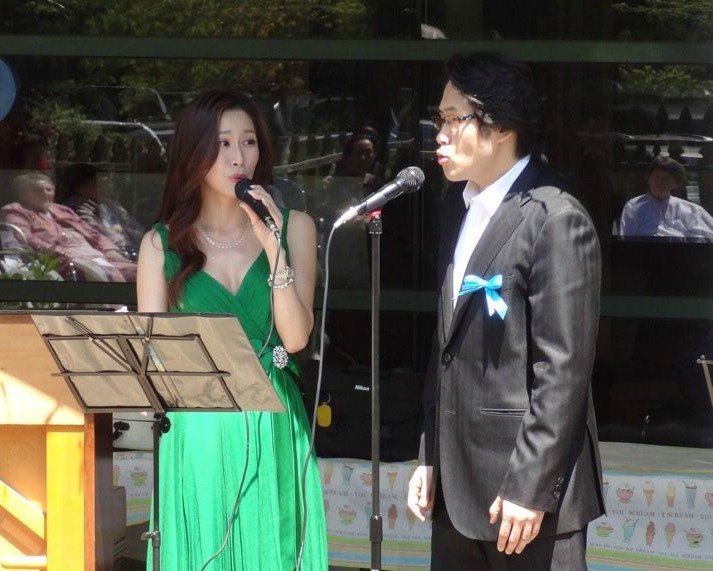 I am still unable to forget the warm days of May at Wando (Korea), where we hosted the outreach concert. 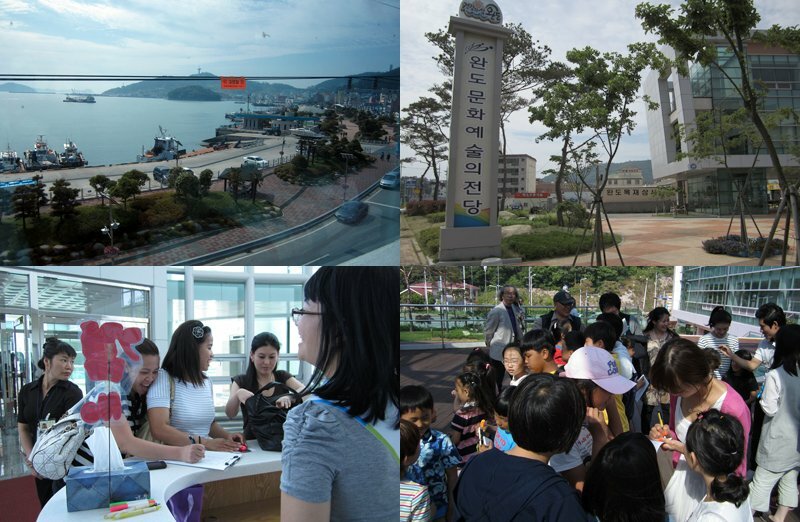 It was my first time visiting this island, located at the southern end of South Korea, which is greatly deprived of external cultural benefits and exchanges. Residents from other islands nearby came to Wando by ship after hearing the news that this concert and musicians came from the New York City. The greatest accomplishment was to allow these families and children to experience and enjoy an evening of live music, an event that they rarely have the opportunity to see. This July, EnoB will be holding three outreach concerts in NY and NJ. The first concert will be for the young children patients at Columbia Hospital, a place I've wanted to visit the most. The second concert will be held for the elderly at the Dewitt Nursing Home, and lastly, for the disabled participants in the Love Camp led by Milal Mission. Please keep paying attention and giving the love to EnoB. Thank You. 이 노비의 첫 한국에서의 봉사활동은 지난 5월 24일 전라남도 완도에서 열린 다문화 가정과 지역 청소년들을 위한 뮤지컬 콘서트였습니다. 완도군의 전폭적인 지원으로 열린 이번 행사에서는 이노비와 더불어 완도군 청소년 문화의 집, 완도군 다문화가정지원센터가 함께 협력하여 300여 명의 다문화 가족을 포함한 지역 주민이 뮤지컬 콘서트를 관람했습니다. On May 24, EnoB launched its first outreach concert at Wando for the multi-cultural families and local children. 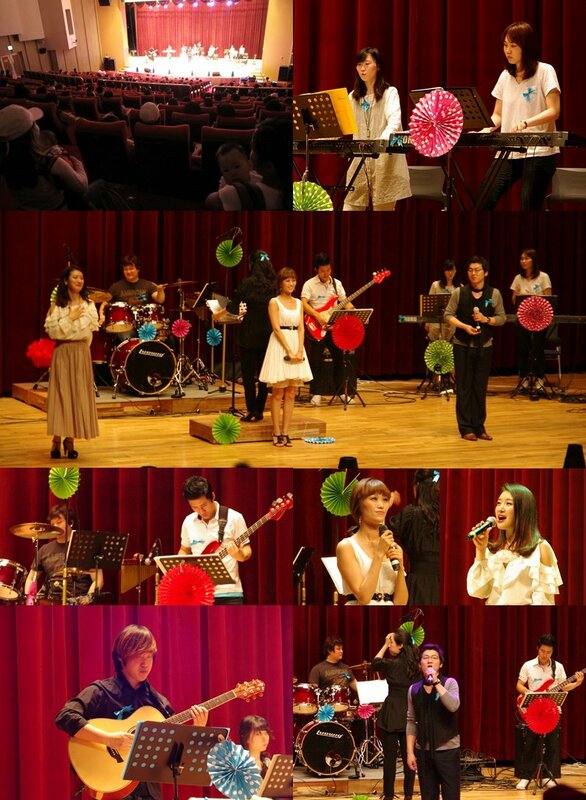 With Wando-gun's support, around 300 people attended the musical concert. In this concert, nine musical actors and actresses performed with professional instruments. 이 번 공연을 위해 직접 한국을 다녀온 강태욱 대표는"완도는 지리적인 한계로 인해 평소 양질의 문화공연을 즐기기 어려운 문화 소외지역"이라며 "세계적인 문화 중심지인 뉴욕에서부터 왔다는 소식에 공연이 보기 위해 주변 섬에서 배를 타고 나온 주민도 있었고, 공연이 끝난 후 아이들이 줄을 서서 공연자들에게 사인을 받는 등 지역사회의 관심이 뜨거웠다"고 전했습니다. 또 한국에서의 활동을 시작한 것과 관련, "그동안 소외되어있던 다문화 가정과 청소년들을 위한 공연을 열었다는데 의미가 있다"며 "한국 활동을 시작하면서 한국 사회가 품고 있는 문제인 다문화 가정까지 봉사 대상에 포함하게 됐다"고 설명하며 현재 한국 사회는 다문화 가정과 관련한 인종차별과 다문화가정의 해체가 심각한 문제로 떠오르고 있다고 강조했습니다. 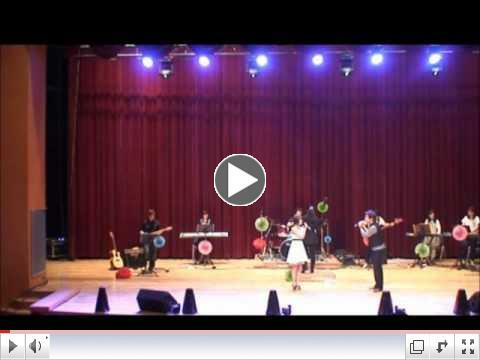 Click to View EnoB Wando Concert! 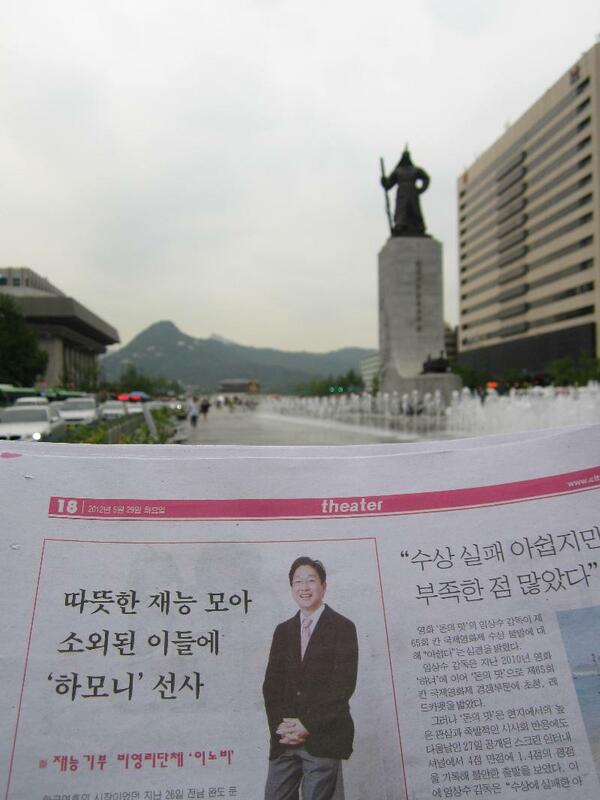 Tae-Wook Kang said "Wando is located the southeast region of Korea, so it is isolated from quality concerts and event. Residents of neighboring islands traveled by boat to attend the concert when they heard the musicians from New York City would be performing.". Also he added "This concert has additional significance - not only did it bring live music to people who do not have that sort of exposure but it also allowed us to reach an audience that is overlooked in Korea. The multicultural citizens in Korea is a serious problem right now." 이노비는 한국에서 살고 있는 다문화 가족의 구성원들이 소외감을 느끼지 않도록 이들을 위한 공연을 개최하고, 이런 문화공연을 통해 자연스럽게 이웃들과 어우러질 수 있는 장을 만들겠다는 계획을 펼쳐나가고 있습니다. 여러분의 많은 응원 바랍니다! 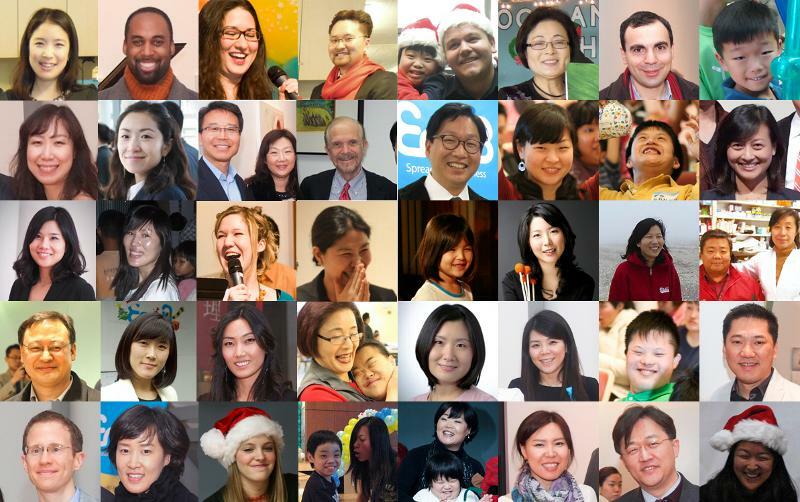 Currently the racism and breakdown of the multi-cultural families in Korea has become a wide-spread problem. Following this recent concert, EnoB is planning cultural events and concerts for the multi-cultural families so that EnoB can help them be less isolated. Through the events EnoB believes that the members of multi-cultural families can communicate better and get along to the other members of the society. 강 태욱 대표님의 한국 출장 소식입니다. 완도 공연을 준비, 마치시는 와중에 이노비 서울의 이사님들과 뮤직디렉터, 그리고 이노비에 관심과 도움을 주시는 분들을 만나 좋은 시간을 가졌습니다. 앞으로 이노비가 세상에 행복을 전달하는 데에 큰 힘이 되어 주실 것이라 믿습니다. 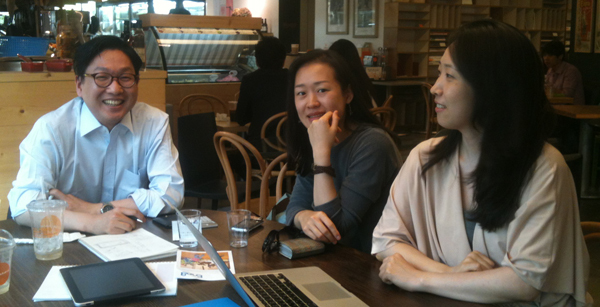 There is news regarding Tae-Wook Kang, a representative of EnoB, who has just returned from his business trip to Wando. During the concert at Wando, Mr. Kang had a great time with the Board Members of Seoul, the Music Director, and those who attended and support EnoB. We believe that they will continue to embrace and help fulfill EnoB's mission of spreading happiness. 이노비의 여름 로고를 공개합니다! 뜨거운 태양 아래, 더위를 식혀주는 시원한 바닷가 모래사장에서 아이들이 이노비와 함께 즐거운 시간을 보내고 있는 모습입니다. 이렇게 모두가 이노비와 함께 행복한 한때를 보내며 마음이 시원해질 수 있으면 좋겠습니다. 무더운 여름~ 이노비의 시원한 파란색 배경을 컴퓨터 배경화면으로 깔아보시는 건 어떠세요? happiness@enob.org이나 212-239-4438로 연락 주시면 wall paper 용 파일을 보내드리겠습니다. We are proud to introduce our new summer logo in blue! We hope the sight of it will bring cool relief to you during the hot summer days ahead. We will send wall papers to you. Contact us at happiness@enob.org or 212-239-4438. 이노비가 미국정부에서 주는 대통령 봉사상(President's volunteer service award)을 수여할 수 있는 공식 단체로 인정받았습니다. 이제 이노비에서 일정 시간 이상 봉사활동을 한 분들은 개인, 가족, 또는 그룹 단위로 대통령 봉사상을 신청할 수 있는 자격이 주어집니다. 대통령 자원봉사상의 가치는 일반적인 상들이 갖는 권위와 다르게 큰 의미를 둘 수 있을 만큼 영광스러운 상이랍니다! 이노비에서 봉사도 하고 대통령상도 받고, 멋지지 않나요? 이 노비는 "우리의 재능은, 세상 낮은 곳에서 가장 절실한 도움을 필요로 하는 이들과 공유되어야 한다"고 생각합니다. 우리 모두가 사회의 한 명의 구성원으로서, 작은 도움이라도 서로 주고받는 모습이 아름다운 세상을 만들어가는 시작이 아닐까요? 봉사를 어렵게 생각하지 마시고 작은 일부터 이노비와 함께 시작해 보세요! EnoB was accepted as official certifying organization for the president's volunteer service award program. From now on, any individual, family, or group who volunteers at EnoB can receive the President's Volunteer service Award from the President of the United States depending the number of hours of service. Receiving the President award is valuable, meaningful and honored. It would be great to volunteer at EnoB and also receive the President award. We welcome everybody! Please come to EnoB and let's make a beautiful world together through giving our talents. Recently, two high school students, Byung-Hun Kim and Eric Cho, have started their volunteer service at EnoB. We appreciate and commend these two students for their participation. Northern Highlands Regional High School 11학년으로 올라가는 김병훈 Byung-Hun Kim 군은 축구와 음악 연주가 취미입니다. 병훈군은 약 2년째 뉴저지 초대교회의 특수교육부서 His Friends에서 특수교육이 필요한 어린이들을 돕고 있는데, 그들과 함께 시간을 보내며 친구가 되고, 또 서로 사랑을 주고받는다는 것을 느낄 수 있어 매우 기쁘게 봉사에 참여하고 있다고 합니다. 병 훈군은 작년 11월 있었던 EnoB benefit concert에 이노비 후원자이신 부모님과 참석하며 이노비와 처음 인연을 맺게 되었습니다. 그리고 지난 5월에 있었던 이노비 아웃리치 콘서트에 참여하였는데 장애인과 비장애인의 벽 없이 모두 함께 노래하고 춤추고 박수를 치며, 즐거운 시간을 가질 수 있게 해주는 이노비 공연이 인상에 깊었다고 합니다. 병훈군은 His friends 에서의 봉사 경험과 학교 신문 기자로 활동하고 있는 경력을 바탕으로, 이노진 제작에 함께 참여하기로 하였습니다. 나이에 상관없이, 자신의 재능을 가지고 봉사에 참여하고자 하는 병훈군, 너무 멋지지 않나요? 병훈군과 함께 만들어가는 이노진, 많이 기대해 주세요! Starting this fall, Byung-Hun Kim will be a junior at Northern Highlands Regional High School. His hobbies are playing soccer and listening to music. He is also a volunteer at His Friends Ministry at Chodae Church where he helps children who require special education. He has participated in this service because he feels that it is a rewarding away for him to share his time and love to serve a cause that needs so much attention. Byung-Hun first learned about EnoB after attending a benefit concert with his parents. He then participated at the EnoB outreach concert in May where he was touched to see how everyone, regardless of disability or ailment, were able to enjoy, sing and dance to music. Combining his talent as a school newspaper reporter and his passion for volunteering at His Friend, he has joined in the efforts of issuing the EnoZine together. Regardless of age, he has become a valued member of EnoB's team. We will continue to work together to bring you the latest news through EnoZine. 조성규 Eric Cho 군은 곧 Tenafly High School 11학년이 됩니다. 뉴저지 Alpine에서 가족들과 pet dog 'Cinnamon'과 함께 살고 있고 펜싱, 체스, 달리기가 취미입니다. 성규군은 Tee Missions International이라는 단체와 함께 두 번의 해외봉사를 다녀온 적이 있습니다. 2009년에는 태국의 한 고아원으로, 2011년 여름에는 페루의 작은 산골 마을에 찾아가, 지역사회를 위해 봉사했습니다. 두 번의 해외봉사활동을 통해 사람들과 교류하며 서로의 문화를 배웠다고 합니다. 그리고 평소에도 Tenafly 인근에서 기회가 있을 때마다 봉사활동에 참여하는 등 봉사정신이 뛰어난 학생이랍니다. 성규군은 평소 이노비 후원자이신 아버지를 통해 이노비에 대해 듣고, 이노비의 활동과 목적을 찾아본 후 참여하고 싶은 마음이 생겼다고 합니다. 지난 5월 24일 '장애인 큰잔치'에서 열린 이노비 아웃 리치 콘서트에 봉사자로 처음 참여하였습니다. 콘서트에 참여한 장애인 친구들이 함께 춤추고 노래하며 행복해하는 모습을 보고, 그들에게 단순히 물질적인 도움을 주는 것보다 함께 교감할 수 있는 시간을 선물 해주는 것이 더 영향력이 있다는 것을 눈으로 보았다고 합니다. 이노비의 아웃 리치 콘서트 관객들의 웃는 얼굴을 통해 행복과 희망을 전달해주는 것을 보았다는 성규군은 앞으로도 이노비에서의 봉사활동에 대한 기대가 가득합니다. 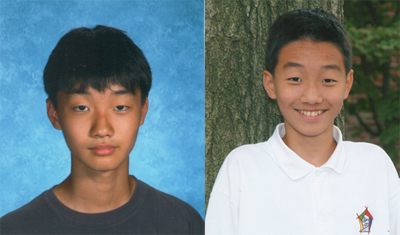 Eric Cho will begin the 11th grade at Tenafly High School in September. He enjoys fencing, running, and playing chess when he is free. He has already twice volunteered with Teen Missions International, Rustic Pathways. He went to an orphanage in Thailand in 2009 and, in the summer of 2011, he traveled to a small mountain village inPeru.On both trips, his team and he learned about the people and their culture, and in turn shared a bit of himself and where he is from. He also occasionally volunteers for community events in Tenafly. Eric Cho learned about EnoB from his father, who has been a supporter of EnoB since ______. Are seeing learning more about the organization and about an upcoming concert at Chodae Community Church, he agreed to help. It was his first time he met EnoB in person. After the concert, he said "The concert was great. The children were so happy and were singing and dancing along. It showed me that interacting, being with people, has so much more of an impact than simply giving them a toy or some materialistic item. The concert gave the children happiness and hope, which were clearly seen on their smiling faces". We are look forward to spreading happiness with Eric Cho in the future! EnoB 베네핏 콘서트가 9월 8일(토)에 Chelsea에 있는 Highline loft에서 개최됩니다. EnoBian 여러분이 토요일 오후를 이노비와 함께 즐겁게 보내실 수 있도록 멋진 concert를 기획하고 있습니다. 이노비에 대해 더 자세히 알 수 있고, 가까이 지켜보실 수 있는 이노비 benefit concert 많이 기대해 주세요! 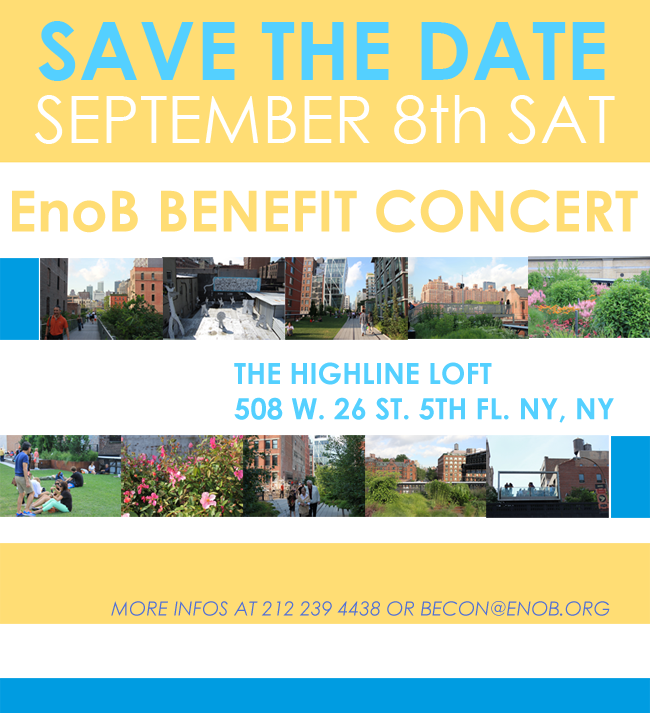 EnoB Benefit Concert will be held on Saturday, September 8th at Highline loft in Chelsea. We are preparing the concert for many EnoBians to have a fun time with EnoB. 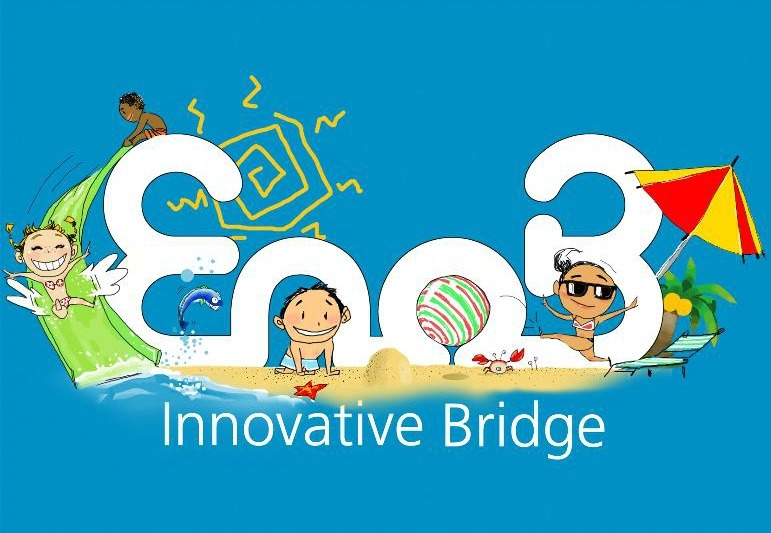 It will be a great occasion foreveryone to get to know and meet EnoB! We are looking forward to meet you at EnoB Benefit Concert in September! 다음 달 12일, 이노비는 미국 내에서도 몇 손가락 안에 꼽히는 소아 병동인 콜롬비아 대학병원의 어린이 환자들을 위해 찾아가는 음악회를 개최합니다. 입원중인 어린 환자들에게 희망과 기쁨을 주기 위해 열리는 이 번 음악회는 앞으로 콜롬비아 대학병원과 지속적인 관계를 유지하는 첫 걸음이 될 것입니다. 이번 콜럼비아 공연은 BFUSA, It's Wig! 과 김철균, 문지영님의 후원으로 이루어집니다. 감사드립니다. New York Presbyterian Morgan Stanley Children's Hospital is one of the top-rated facilities in the country in pediatric medicine and surgery. EnoB's outreach concert will brighten hospital stay for patients and families by providing respite from their illnesses as they experience the pleasure of the performing arts. This concert will be the first step in building a long-term relationship between Columbia University Medical Center and EnoB. This concert is supported by BFUSA, It's a Wig!, Mr. Chul K. Park & Ms. Ji Young Mun. Thank you. 7월의 마지막 주 목요일, 맨하탄에 위치한 드윗 널싱 센터에서 몸이 편치 않은 어르신들을 위한 이노비의 찾아가는 음악회가 열릴 예정입니다. 이 음악회를 통해 이노비는 그 곳에 계신 분들의 외로움과 고립감을 조금이나마 덜어주고자 합니다. DeWitt Rehabilitation & Nursing Center is a nursing home serving low-income and medically at-risk seniors. These seniors are often abandoned or seldom visited by their families, so the relationships built can become an important lifeline for them. We hope our visits help lessen the isolation and loneliness of some of residents. 매 년 여름 미주 동북부 지역 7개 밀알 선교단이 연합으로 여는 '밀알 사랑의 캠프'에 이노비가 초청되어 공연을 펼치게 되었습니다. 600여 명의 장애인과 함께하는 이 번 캠프에서 이노비는 새로운 프로그램을 선보이며 장애 어린이들에게 신선한 즐거움을 선사할 것입니다. Every summer, seven Mil Al Missions of the eastern regions of America will hold 'Mil Al Love Camp'. EnoB will join this camp and host an outreach concert with exciting new repertoire to bring some extra smiles to approximately 600 children with disabilities. 이번 호 이노진에서는 이노비 후원기업인 뉴뱅크를 소개합니다. 뉴뱅크는 2006년 설립 이후 심각한 경기침체 속에서도 꾸준하게 성장해온 자랑스런 한인 은행입니다. 뉴욕 조흥은행장을 역임하셨던 한근택행장님 산하로 뉴뱅크의 전 직원들의 모토는 'Fun Banking, 신바람 나는 은행' 으로 직원들이 즐거워야 일하는 재미도 있고 또 그 분위기를 고객들에게 진심 어린 서비스로 전달하고자 하는 바람이라고 합니다. 뉴욕주 연방소기업청 SBA로부터 대출실적금상을 수상한 뉴뱅크는 실적과 성공에만 치중하지 않고 사회에 대한 환원과 봉사를 꾸준히 실천하고 있습니다. 작년에는 창립 5주년을 맞아 1만 5,000달러를 한인 비영리 단체 후원으로 커뮤니티에 환원하기도 했습니다. 일주일에 한 번 직원들끼리 teatime을 가지며 얘기를 나누기도 하고, 회사 차원에서 직원들의 취미생활을 적극 지원하는 Hobby Club(취미 클럽)도 운영하면서 누구나 일하고 싶어하는 은행으로 성장하고자 한다는 뉴뱅크, 결국엔 뉴뱅크의 밝고 따뜻한 분위기가 고객들과 커뮤니티에도 이어져 보다 따뜻한 사회를 만드는 데 도움이 되지 않을까요? 그 길에 이노비가 함께하겠습니다. 이노비를 항상 따뜻하고 넉넉한 마음으로 후원해주셔서 감사드립니다. 앞으로도 이노비가 세상으로 행복을 실어 나누는 일에도 함께 해주세요! Spreading Happiness! We are making 'the EnoBian Face Block' which are made of EnoBians Picture with smiling faces. Send your pictures to happiness@enob.org, we beilive that your happiness will be spread to others in the world! 이노비 인턴은 무슨 일을 할까요? 자신의 재능으로 이웃을 돕고 싶어하는 따뜻한 마음을 가지고 이노비에 적극 참여하고 있는 이노비 인턴들의 이야기를 소개합니다. What are EnoB interns doing? There are stories about warm-hearted interns who are contributing their talent to EnoB. Click the below image to view the interview! 어렸을때 부터 바이올린을 전공하다가, 진로를 바꿔 대학에서 경영을 전공한 강나희 님은 자신의 전공 분야인 음악과 경영으로 다른 사람을 도울 수 있다는 데 동기를 얻어, 이노비를 찾아왔습니다. 지난 3월부터 성실하게 마케팅 인턴을 해왔는데, 이제 2달 후면 유학생활을 마치고 한국으로 돌아가게 되었습니다. 그 때까지 하루라도 더 이노비에 나와서 봉사하고 싶다는, 얼굴도 마음도 예쁜 나희님의 이야기를 동영상으로 만나보세요. Ms. Nahee Kang majored in Violin, but she also studied Business Management during her undergraduate years. Since joining EnoB in March 2012, she has been an incredible asset to EnoB, combining her passion for music and business management. She returns to Korea this fall to complete her studies and continue her professional track. Would you like to meet EnoB's big fan, Ms.Kang? 5월 17일에 은혜가든에서 이노비의 뮤지션으로 처음 참여하신 박유리님은 맨하탄 스쿨 오브 뮤직에서 석사학위를 받으시고 오페라 가수로 활약하고 계십니다. 그동안 다수의 후원기금마련 음악회에 봉사로 참가하셨지만 직접 음악회에 참여하실 수 없는 분들을 찾아가서 공연하기는 처음이어서 이번 이노비와 함께하신 음악회가 더 감동이 크셨다고 합니다. 재능을 남에게 행복을 전하는데 사용되도록 돕는 이노비에게 감사의 말씀을 전하고 싶다고 하시며 이노비가 미국은 물론이고 한국에서 더 많은 행복을 나눌수 있기를 바란다고 덧붙이셨습니다. 아웃리치 공연에서 관객들에게 많은 인기를 얻고 계시는 미모의 박유리선생님, 항상 이노비와 함께 해주셔서 감사합니다! with people who do not have many chances to enjoy music; she most recently visited hospitalized seniors in nursing homes with EnoB. She supports and wishes the best in EnoB's efforts to spread happiness, not only in NY & NJ but also in Korea. We thank you for being with us, Yuri! 이노비의 매력적인 메인 싱어 Justin Mark Dewolf를 소개합니다! 피 츠버그에 있는 포인트 팍 대학교에서 뮤지컬 연기를 공부한 이노비 뮤지션, Justin Mark Dewolf는 그 지역 극장에서 다양한 역할들을 소화하며 연기력을 탄탄히 다진 후, 최근에 뉴욕으로 와 이노비의 메인 싱어로 조인하게 되었습니다. 이노비: 져스틴군, 이노비를 처음에 어떻게 알게 되셨나요? 이노비 아웃리치 콘서트에 참여하게 된 특별한 계기가 있었나요? 져스틴: 네, 저는 지난 4월 이노비의 음악 감독 서혜선 씨의 권유로 이노비 아웃리치 콘서트에 처음 참여하게 되었습니다. 마침 남자 싱어가 필요하다고 하더군요. 저야 영광이었죠. 이노비: 져스틴 군에게 이노비 콘서트란 무엇인가요? 이노비와 함께하면서 경험했던 특별한 순간들이 있었나요? 져스틴: 저는 이노비와 함께하는 공연을 무척이나 좋아합니다. 너무나도 재미있고 즐겁죠. 아이들은 정말 사랑스럽고, 그 아이들과 음악으로 소통한다는 것이 제겐 큰 기쁨입니다. 얼마 전 공연 중에는 한 한국인 남자 아이가 무대 위로 뛰어 올라와 제 곁에서 같이 노래하고 춤추며 저한테 계속 이야기를 하더군요. 한국말로요ㅎㅎ 무슨 뜻인지 이해할 수 없었지만 저희 둘은 라이온 킹 주제가 '하쿠나 마타타'를 부르며 하나가 되었습니다. Justin Mark DeWolf comes from the Northwest and graduated from Point Park University in Pittsburgh with a BA in musical theatre. During his time there, he enjoyed playing a variety of roles for various regional theatres including Charlotte's Web (Wilbur), The Goat (Billy), Twelfth Night (Feste), and most recently a world premiere play, MIA. Having moved to New York only recently, he is excited to be a part of any performance project that comes along, especially when it is a benefit to others. EnoB: How did you get to know EnoB? What motivated you to participate in EnoB's outreach concert? Justin: I got to know EnoB through Haesun, who invited me to be a singer in a concert that EnoB hosted back in April. She needed a male singer, and I was very honored and glad to join! EnoB: How did you feel when you performed with us? Any special momentsyou would like to share? Justin: I love performing with EnoB. It is a very relaxed environment, and FUN! The kids are absolutely wonderful and so much fun to interact with. I remember the last concert I did with EnoB - so many of the children came up on stage and started dancing and singing with us, one boy in particular kept coming over to dance with me and speaking to me in Korean, especially during the up-beat songs. Even though I didn't understand what he was saying, we had a great time jamming to Disney songs. Hakuna Matata! "뉴욕에서 그들을 만나다-첫 번째 이야기, EnoB 대표 강태욱"
한국의 일간지 시티신문에 강태욱 대표님의 기사가 나왔습니다! 오른쪽 사진을 클릭하시면 시티신문의 기사를 보실 수 있습니다. Click the image on the right to view the news article of City Daily on EnoB. EnoB Staff & Musicians attended BFUSA GALA event. Special thanks to Ms. Eun-Ju Lyu & Mr. James Cho for tickets! 이노비의 예쁜 머그컵이 완판 되었습니다! 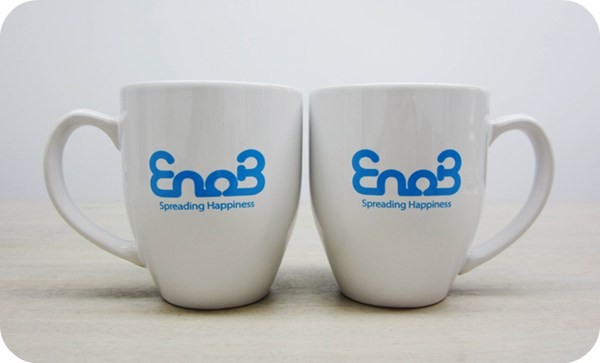 Thank you for loving EnoB's Mug! Now it's sold out! We're designing new mugs now. Please expect our upcoming mugs! All the profits will be donated to EnoB which spreads happiness. 이노비에서 인턴과 자원봉사자를 모집하고 있습니다. We are currently recruiting Interns & volunteers.